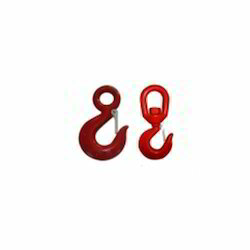 Providing you the best range of swivel hook with latch, eye hook, eye hook latch, forge hook, eye nut and wire rope clip with effective & timely delivery. We are successfully ranked amongst the topnotch entity offering a wide range Swivel Hook with Latch. This hook with latch is fabricated by us in 304 and 312 grade stainless steel materials. Such quality materials and fabrications offer consistency to the usage supporting diverse end working applications. Additionally, the developed and polished hook with latch dipped in electro galvanized surface finish. Clients can avail the customized hook with latch from us as per their business needs. Pioneer in the industry, we are engaged in presenting an impeccable range of Eye Hook. This hook is made of utilizing high grade iron alloy 885 that offers high tensile strength and consistency to the crane. 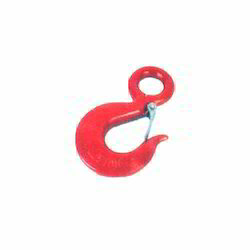 The offered hook has 120mm thickness and load bearing capacity up to 120T gauge size. Our professionals develop the hook using advanced machines and ground-breaking technology that aid in developing the robust hook used for different load, unload, pull and packaging applications. Leveraging on our in depth domain knowledge of supplying, trading, and exporting a huge gamut of lifting accessories we are presenting Eye Hook Latch that is designed for dependable performance. It is manufactured by using state of the art technologies by our vendors under rigid norms of quality. These are properly surface coated for excellent finish that lasts long. Our clients can avail these in different specifications at competitive rates. Fostered with vast industry experience and knowledge of this domain, we are engaged in presenting Forge Hook. This hook is made of using quality 304 or 312 or 314 grade materials. 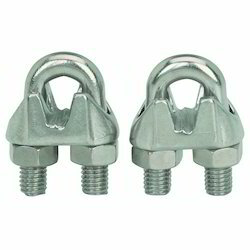 The heavy duty materials provide strength and consistency to the hook when load or unloading task is applied. 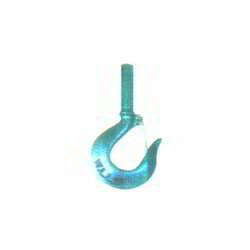 Additionally, this hook is coated with galvanized finish to force it hold up the high tension effortlessly. Clients can opt to get the hook developed and gain length as per the business requirements. Keeping the diverse requirements of customers in mind our company provides supreme quality range of Eye Nut & Bolt. This Eye Nut & Bolt is known for its excellent finish and corrosion resistant nature. Clients can avail this Eye Nut & Bolt from us at most competitive price. 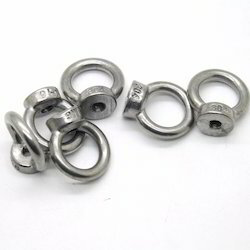 Wire Rope Clip offered can be made available by us in different finish specifications as well as in different functional capacities of 0.5T to 5T as demanded by the customers. The use of advanced manufacturing process as well as their undergoing extensive testing also assure of their delivering reliable performance support. 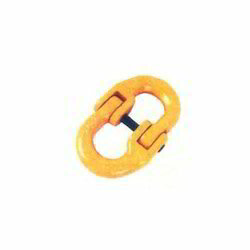 Some of its features include high-strength shackle finish; made available as per American and other industry standards; made available at competitive prices. To meet the diversified requirements of our prestigious clients, we are engaged in offering Connecting Link. This link is made of utilizing optimum quality stainless steel material of 312 and ground-breaking technology. Our professionals are specialized in making link having diverse drum sizes. This size varies from 150 mm to 520 mm diameter that can assisting the torque in-between 1T for the negligible link support up to 65T. Clients also can get the custom link manufactured according to the business requirements.